Dr. John Agwunobi, M.D., M.B.A., M.P.H., chief health & nutrition officer, Herbalife, brings an accomplished background and a wealth of experience as a physician, a public health official and a global executive. From 2005-2007, he served as the Assistant Secretary of Health for the U.S. Department of Health and Human Services. During his term, he was responsible for disease prevention and health promotion. He oversaw the Centers for Disease Control, National Institutes of Health, the Food and Drug Administration, the office of the U.S. Surgeon General, and numerous other public health offices and programs. 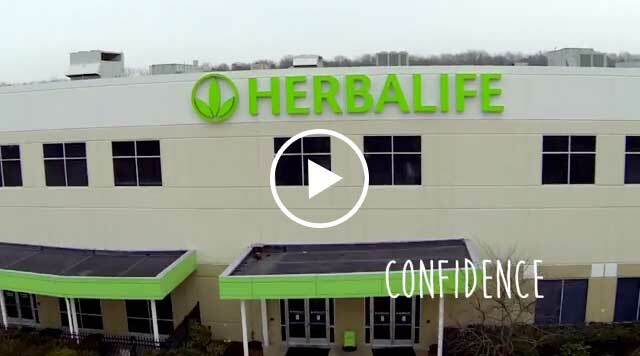 At Herbalife Nutrition, he is responsible for the company’s nutrition philosophy and ensuring nutrition science is integrated into nutrition training and product education for Herbalife Nutrition Independent Distributors. He works closely with Herbalife Nutrition scientists and Ph.D.s to provide leadership and support to the Herbalife Nutrition Institute and the company’s expert advisory boards. Dr. John Agwunobi, chief health and nutrition officer, Herbalife, is available for interviews. Additional experts on nutrition, health, and fitness are also available for interviews. Research shows1 that only about 9 percent of people actually achieve their resolution goals. Whenever people set weight-loss resolutions, they seem to set out to rid their cabinets of junk food, hit the gym and start fresh. But while most of us start out with the best of intentions, we often employ the worst of strategies. What are 5 Tips you can adopt to help make your resolutions stick? The first step in keeping a resolution is to make sure it’s reasonable. It’s fine to be ambitious at the start of the year, but make sure that your goals are realistic and achievable. When you put your resolutions into words, make them as specific as you can – and make them measurable so you have a way to track your progress. It’s great to say that you want to “eat less fat” but that’s too vague. Instead, you might set a measurable goal to “limit my fat intake to 40 grams a day” – that way, you have something to measure and keep track of. If your list of resolutions is fairly long, you might want to prioritize them, and tackle a few of the easier ones first. This can help to give you the confidence that you can, in fact, achieve what you’ve set out to do. Once you’ve decided what your resolutions are, write them down. Putting your challenges and plans in writing will help you commit to them. Friends, family members and online communities can be tremendous sources of support – so let those around you know what you are trying to achieve. Many of our members have had success with weight loss or bettering their nutritional habit, because of the support of the community. Some of our members host workouts at nearby parks, which is great, because it becomes a network of support, which will help you achieve your health and lifestyle goals. For those whose resolutions include losing weight or eating better, eating balanced meals is very important. What role does a meal replacement shake or protein shake have in a healthy, active lifestyle? Meal replacements come in many forms, including Herbalife® Formula 1 Healthy Meal Nutritional Shake Mix, or protein shakes and Herbalife® Formula 1 Protein Bars. It’s an ideal way to boost your protein intake throughout the day, while reducing your caloric intake for that meal. Many people find that an easy way to jump start their diet is to replace two meals with a meal replacement shake or bar, then have a calorie-controlled, healthy entrée as their third meal with extra veggies and salad on the side. Taking a meal replacement or protein shake as part of your pre- or post-workout meal will supply your muscles with quality amino acids that are important to your workout recovery and ultimately to your weight loss. Advice to jump start your fitness resolution? Find a few minutes to stretch. Start by reaching to the ceiling or gently rolling your neck. Over time, try to build from two minutes of action to five. Any movement is better than no movement. Walk around your place of work. Every step takes you a little higher up that fitness mountain. Use your community to help you rebuild and get fit by inviting family and friends to join you. You probably aren’t the only person you know who wants to get fit. DiscoverGoodNutrition.com features articles to help you understand how to live in a healthy, active lifestyle. There you can find tips and advice from our fitness and nutrition experts along with healthy recipes to help you achieve your New Year’s resolution.